When questioned, Skeans and Foust both admitted they "didn't know anything about it" and even went so far as to say they "never use a color copier." What... did the Earth just go through the tail of a comet? What is with all the "goofy" copier related stories? again, fact is funnier then fiction. "In a move that could be perceived as reckless government spending, the Wabash County Health Department has committed $13,725 in Homeland Security grant funds to more office equipment..."
It seems that the local health department down there had received some money from Homeland Security and "...only had one day to spend it...". So of course, they went on a "shopping spree" - it's the American way. And along this way, they seemed to have purchased a "...used photocopier machine..." for $9,000.00. "When questioned, Skeans and Foust both admitted they "didn't know anything about it" and even went so far as to say they "never use a color copier." "Do you know what that costs for ink for that? And it would cost about 65 cents a copy," Commissioner Lester Templin said. 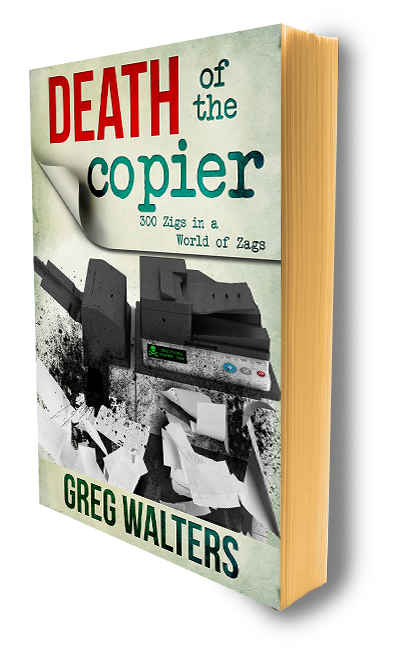 "And you're not even going to use half of the things that are on there (copy machine). And it says on this paper that this is a 'repo unit'," he added."